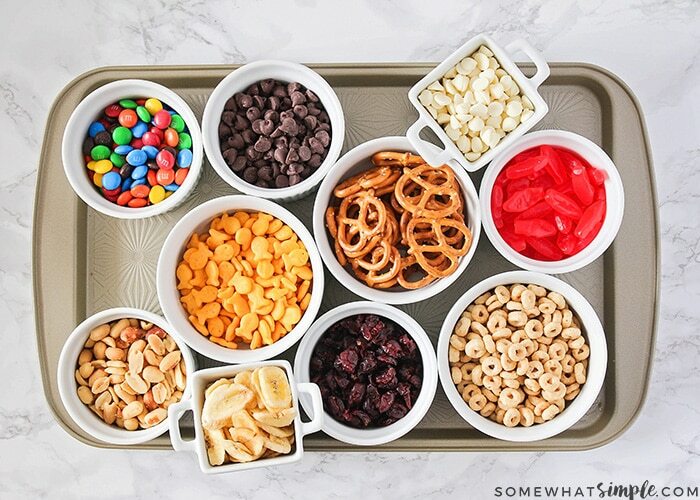 This make your own trail mix bar is such a fun way to get the kids involved. 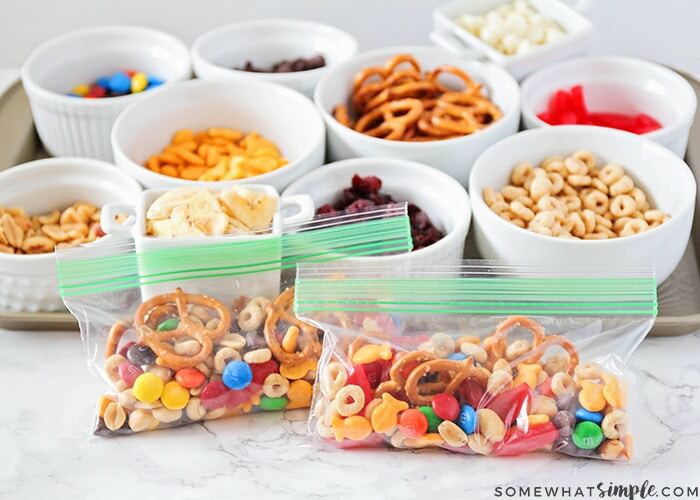 Lay out a variety of trail mix ingredients, and let them assemble their own trail mix snack! Somehow it always seems like the first thing my kids do when they get home from school is to beg for a snack. Their school serves lunch early (around 11:00) so by the time they get home from school, they are absolutely starving. I try to give them something filling and healthy-ish to eat, to tide them over until dinner time, but sometimes it’s hard to think of ideas. We started doing a make your own trail mix bar occasionally for them a few years ago, and it is one of their favorite snack ideas. I love that my somewhat picky (and very opinionated kids) can make their own snacks, with just the ingredients that they like, and everyone is happy! My kids absolutely love it when I set up a trail mix bar for them! 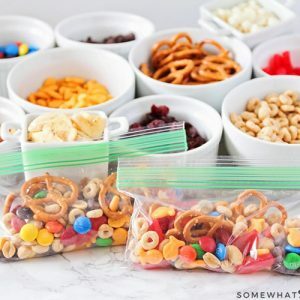 I gather a variety of our favorite trail mix ingredients and lay them out on the table, and then the kids can choose what they like. 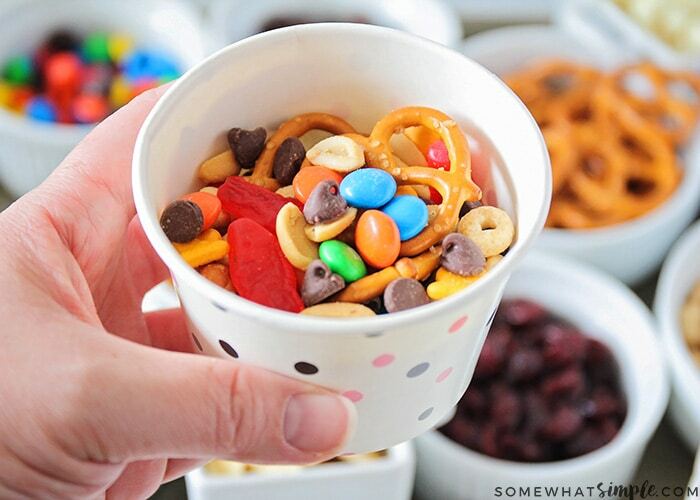 They have so much fun adding their favorites to a bowl and mixing it all together into a tasty snack mix. The combination below is one of our favorites for movie night, but when we’re making trail mix for lunch boxes, I usually make them stick to healthier ingredients. If you’re trying to make your trail mix a little healthier, you could easily leave out the candies and chocolate chips, and add more healthy ingredients. 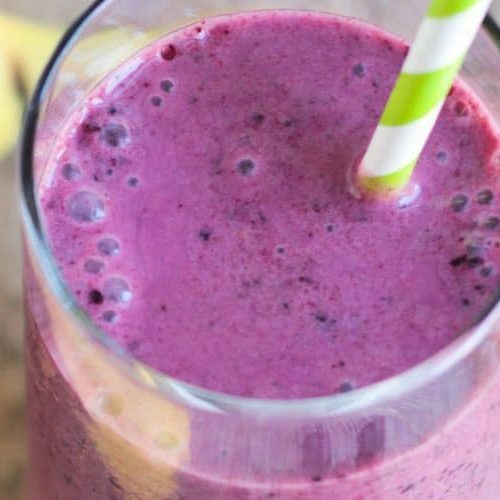 Here are a few of our favorite healthier options. 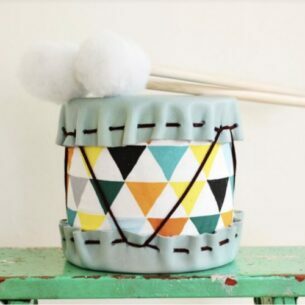 It’s so fun to add what you like and make it your own! 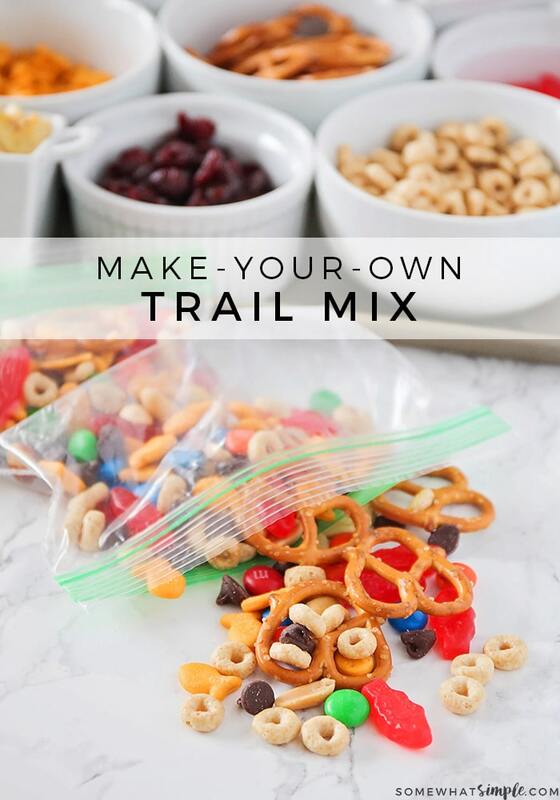 This make your own trail mix bar is perfect for lunch boxes, after school snacks, or to take on adventures. 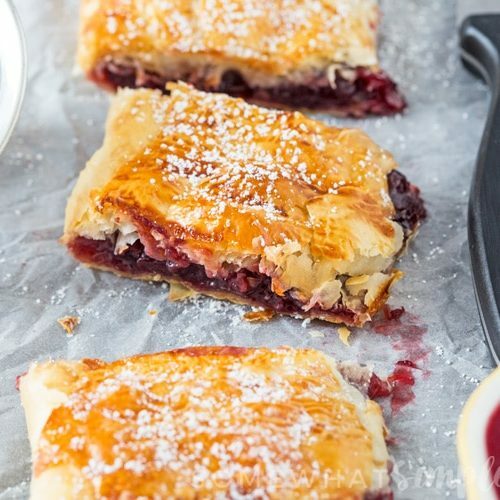 Since each kid can assemble their own, there's no need to whine about ingredients they don't like. That's always a win in my book! Chocolate chips semi-sweet, milk chocolate, white chocolate, peanut butter, etc. Dried fruit raisins, dried cranberries, banana chips, dried apricots, dried mango, etc. Add the ingredients of your choice to small bowls or cups. Fill plastic baggies with spoonfuls of desired ingredients. 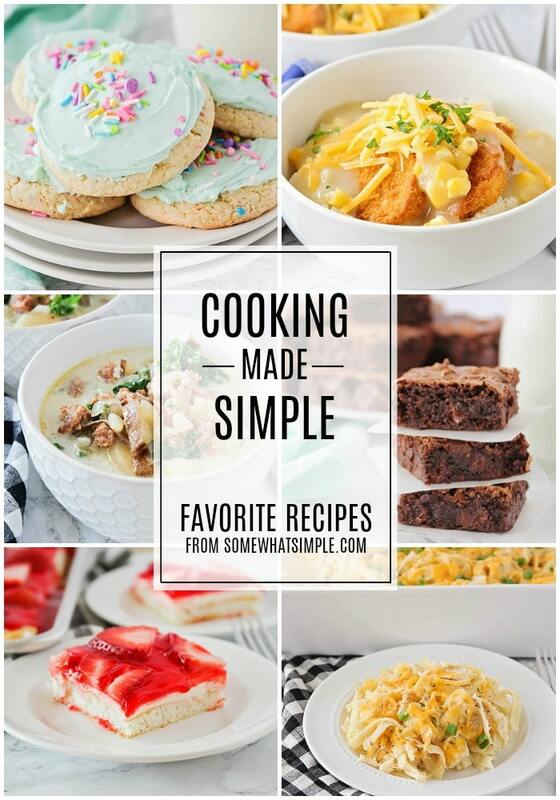 You can add as many ingredients as you choose. Adjust calories accordingly.